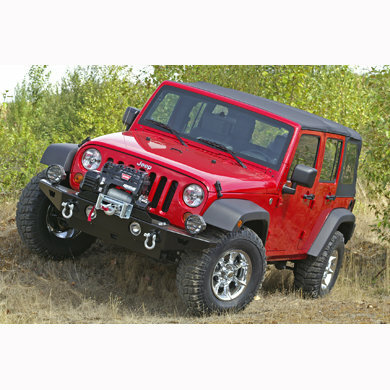 Warn Rock Crawler bumpers incorporate many years of severe off-road experience to deliver a tough, durable and uniquely designed Bumper. 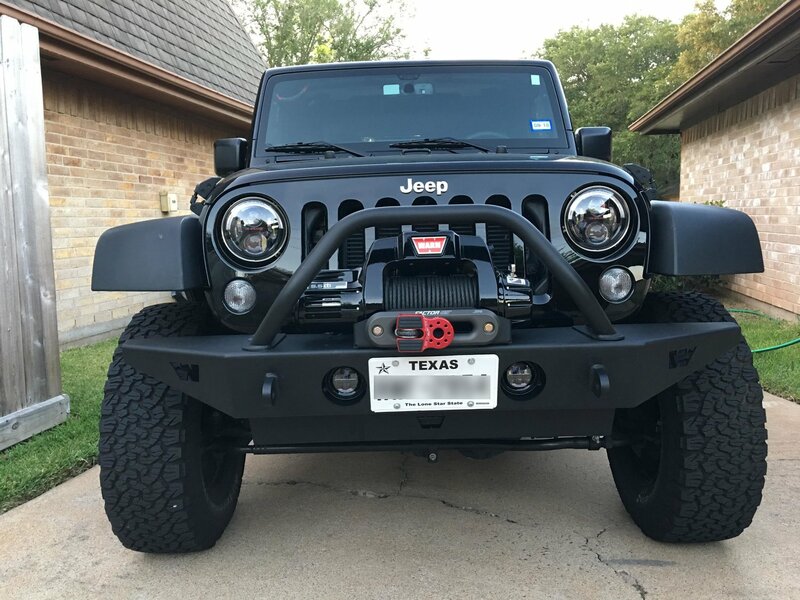 Features of the front bumper include tapered ends for increased approach angles, welded eyelets to mount D-Rings and pre drilled holes to mount auxiliary lighting. Warn bumpers are laser cut form 3/16" steel, then CNC formed, robotic welded for precise fit and finally powder coated for durability. 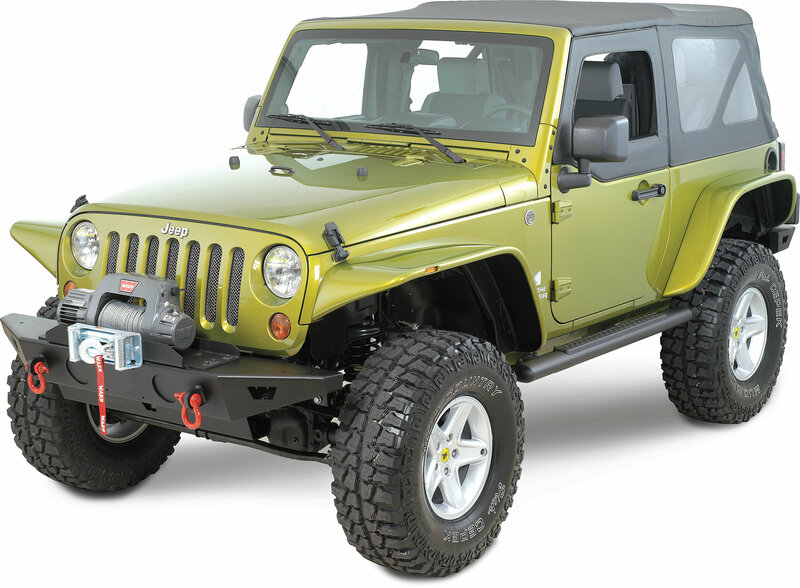 Other features include auxiliary light mount locations to accommodate WARN® lights (up to and including the SDB-160); an optional guard for grille protection; and integrated fog lamp mounts, suitable for factory fog lamps. Does not come with grille guard. 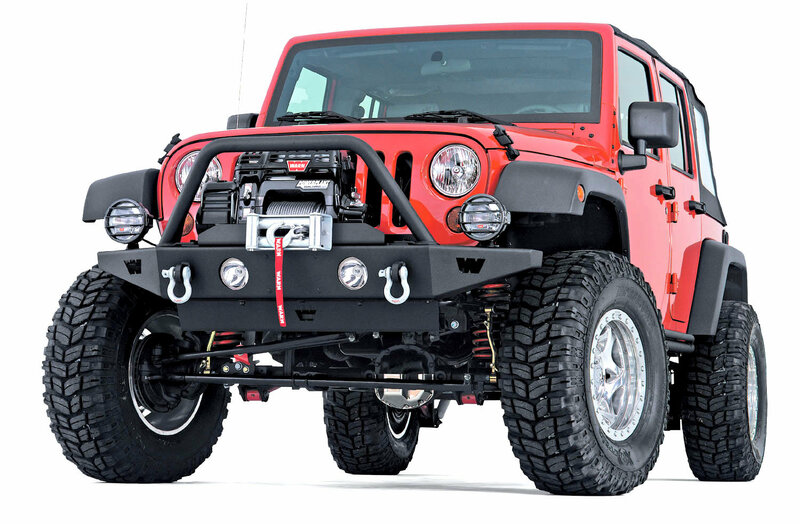 Winch Mount Plate*Does not include winch, lights nor D-rings. 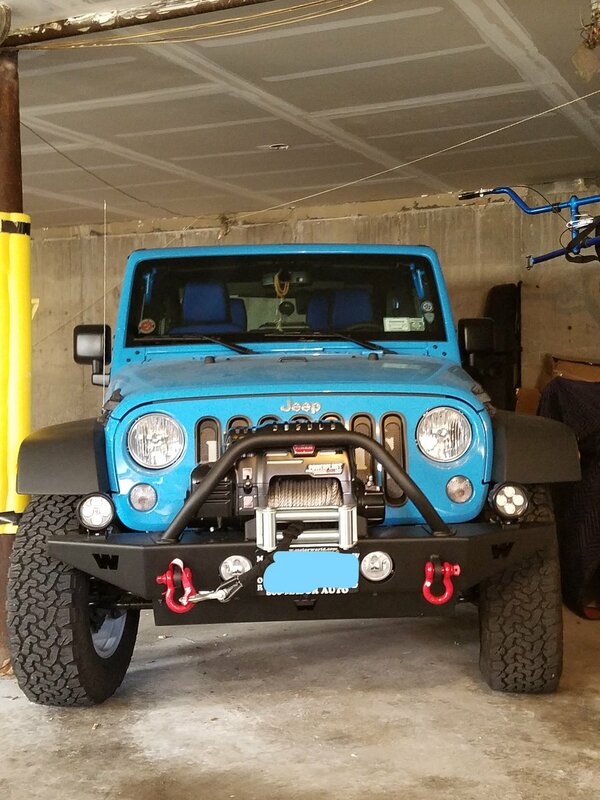 I installed two other bumpers on the front of my 2016 JK before this one, thinking I'd be satisfied with each of them. While there was nothing terribly wrong with either of them, they just didn't have all the features I wanted. I should have been smarter when I chose them. Once I actually saw what the others didn't have, I researched until I found the setup that had everything I was looking for. This is the one I prefer.